Before you set off to do your filming, try reading our post on how to use video. The following guidance is used by the DH digital team to produce video and train colleagues in the Department on the process of filming, editing and sharing. Ensure that anyone taking part is clear what the footage will be used for and where (DH.gov.uk, YouTube, etc.) and that they’ve agreed to this – you could also record this with the camera. From the desktop start up Prism Video File Converter. Select them all and choose Encoder options ? 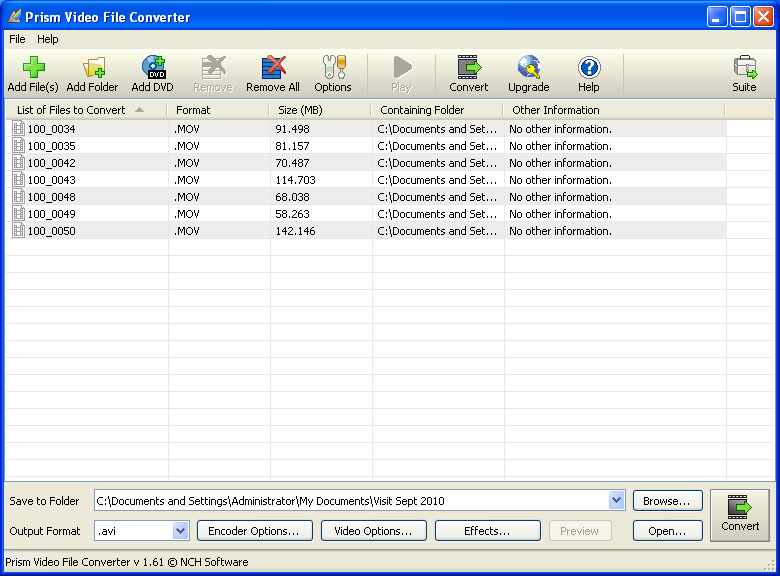 Video converter and change the setting to DV encoder PAL. Ignore all other settings and ‘Ok’ out of that menu. Click ‘Browse’ to choose where to save your files. Folders for each visit have been set up in My Documents ? My Videos ? White Paper Visits. Folder names are fairly self-explanatory. When you’ve chosen the right folder just press ‘Convert’. All your files will be saved as .avi files in your chosen folder ready for editing. On the second slide, remember to add the relevant DH web address (e.g. www.dh.gov.uk/liberatingthenhs), any other relevant digital channels (e.g. www.twitter.com/dhgovuk) and any relevant contact details. Once you’re satisfied that both slides contain the information you need, click “File” then “Save As”. A notification box will appear – simply click the button marked “Every Slide” and your slides will be exported as JPGs that can be added to your movie. 4. Find your files in the folder where you saved them and drag and drop them all into the ‘collection’ space on the left of the WMM window. If they all put themselves into separate folders drag and drop them into one folder to make them easier to work on and delete all the other newly-created folders. 7. If you want to cut any of the clips, either play the clip or drag the blue vertical bar to the point where you want to cut. Click on the ‘split the clip into two…’ button to the right of the time bar (in the preview window). Delete the section you don’t want. If you accidentally put in a split you don’t want, either click ‘undo’ or you can just leave it in and it won’t show up in the film. You can cut each clip as many times as you want to take out sections from the start, end or middle. 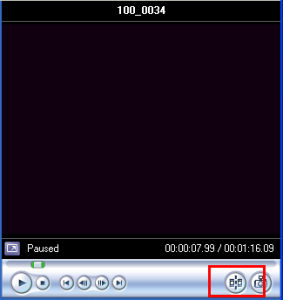 If you want to increase or decrease the volume of a particular clip, press “CTRL” and “U” and adjust the volume slider. 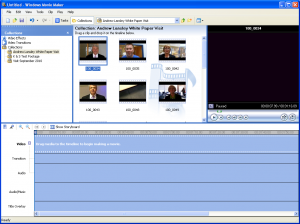 Replay the clip to check that the volume is sufficient and consistent with the other clips. Write in the lower of the two boxes – press ‘enter’ a couple of times before you start, to lower the position of the text. Put the person’s name on one line and their job title and organisation on a second line. Once you’ve created one set of titles, the easiest way to make sure they all have the same formatting is to copy and paste your first set onto each clip and just edit the text to match the speaker. 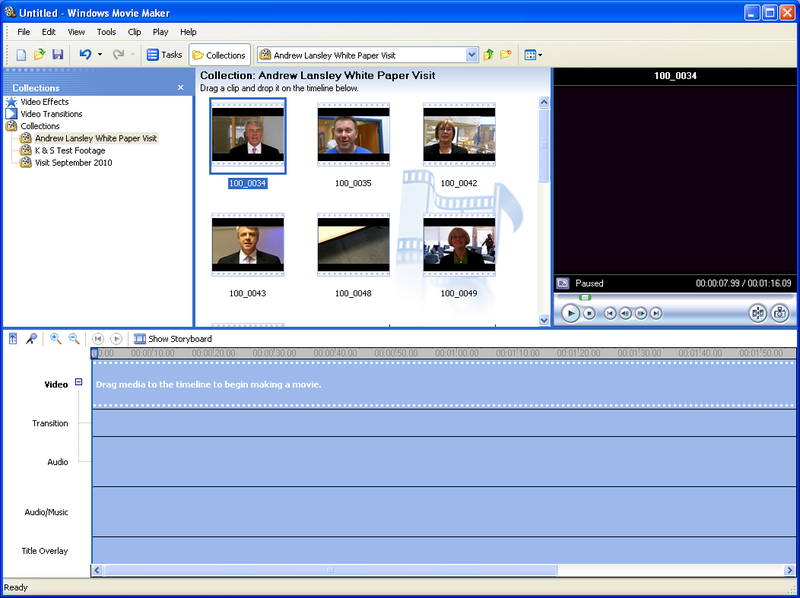 To put it bluntly, the video transitions and effects built in to Windows Movie Maker are terrible – unless you want your video to look like an episode of ‘Top of the Pops’ from the 1970’s. The only effect that is worth using is that of the fade. This effect can be used on audio or video and is a nice way of moving from clip to clip, when each clip is of a different person, such as in the recent Ministerial visits. In an interview situation (where you’re shooting with two cameras, for instance), you’d want to cut quickly from interviewer to interviewee, so you would be advised not to use fades. Using fades on audio can be useful where you have lots of background noise – provided that your clip has been trimmed close to where your subject has started and stopped speaking. To add a fade to the audio or video portion of a clip, right-click on the clip where it appears in the horizontal “Audio” or “Video” bars in the timeline and then select “Fade in” or “Fade Out”. (fade in) INTRO SLIDE (fade out) (fade in) VIDEO (fade out) (fade in) EXIT CLIP (fade out). 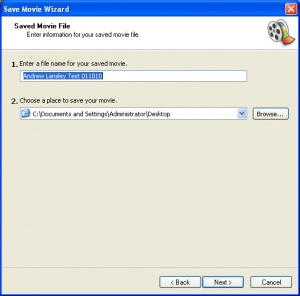 From the ‘File’ menu choose ‘Save movie file’. 4. From the ‘Other settings’ drop-down menu, choose ‘Video for local playback (2.1 Mbps PAL)’ and save it once. 5. 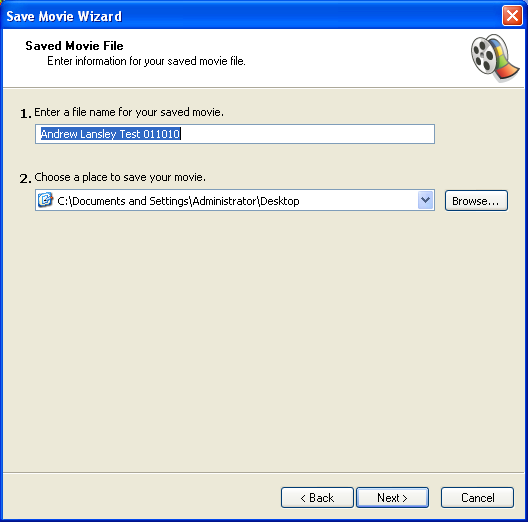 Once you’ve saved the movie file, remember to save your project (File > Save Project As…) otherwise you’ll have to re-edit from scratch, if the movie files need to be amended for any reason. The privacy settings should usually be set to public, however if you don’t want the video to be publicly viewable, then set to private. Only people with the URL will be able to view the video. I read your article with interest, having worked in mainstream video production for a long time. Some years ago I shifted away from my more commercial activities into the Social Care and Social Housing sectors. It occurred to me that sharing some of my very practical skills acquired over 3 decades might benefit charities and non profit organisations. To that end I wrote a blog on the subject over the break, I hope that it compliments your guidance and expands the subject for those who, might want to do more than just record a “web cast” although I have offered tips and hints about lighting, composition and sound for those using a webcam. Any feedback that would improve it would be much appreciated as these are tough times for charities so I am keen to contribute to the cause, without them we would all be in a very different place. I am currently using twitter to spread the word to charities. I have also invested a lot of personal time in creating testing and producing a tool to enhance communication for people with learning disabilities living in supported living. Not easy to distil a 43 page legally worded tenancy agreement in to an engaging, fun and memorable format. that's is re usable for any similar purpose.